The Shimanami Kaido begins on Honshu in Onomichi City. Onomichi, a port town with a history that stretches back to the middle ages, is the gateway to the Shimanami Kaido for most of its visitors. 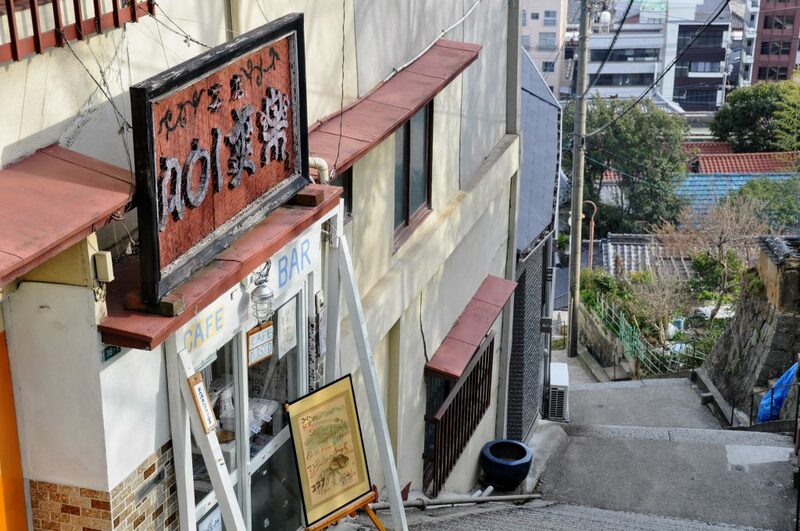 Today, Onomichi’s main selling point is nostalgia. The streets - though many are so narrow they hardly deserve the name - that criss cross the steep hillside that rises almost immediately from the seafront, lined with tumble down houses, pull at the memory strings of domestic visitors from cities that bulldozed such places long ago. 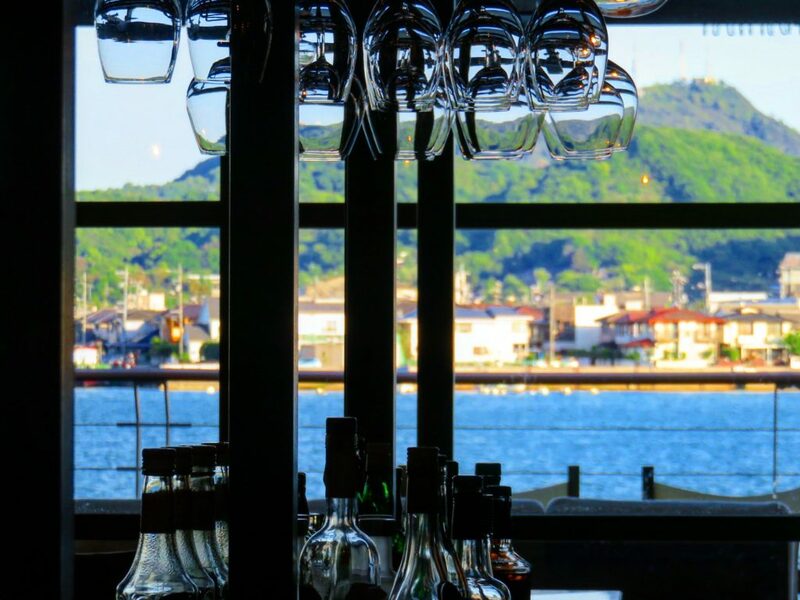 Onomichi is known as a city of culture. Wealthy merchants invested their fortunes in building and maintaining temples, and you can follow a map on a walking tour which connects 25 of them over a distance of about 2.5km. 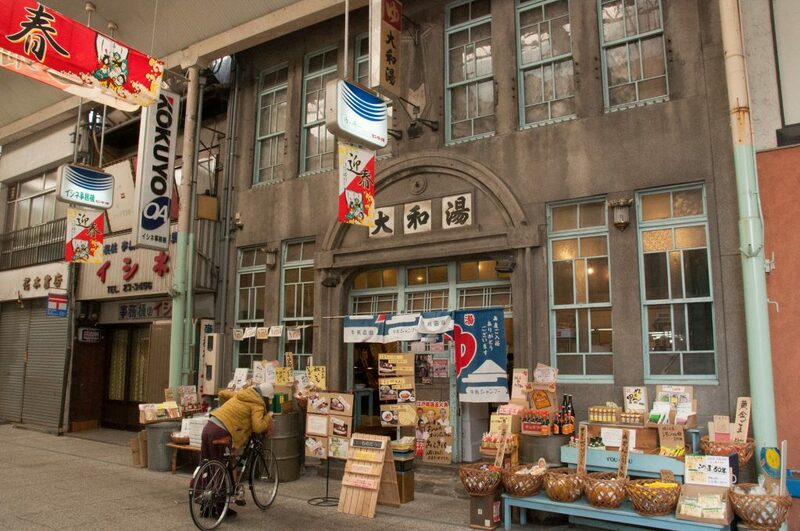 It has provided locations for many Japanese films, including Ozu’s classic Tokyo Story . The Path of Literature is a pleasant walk that quietly celebrates the town’s association with Japanese poets and writers. 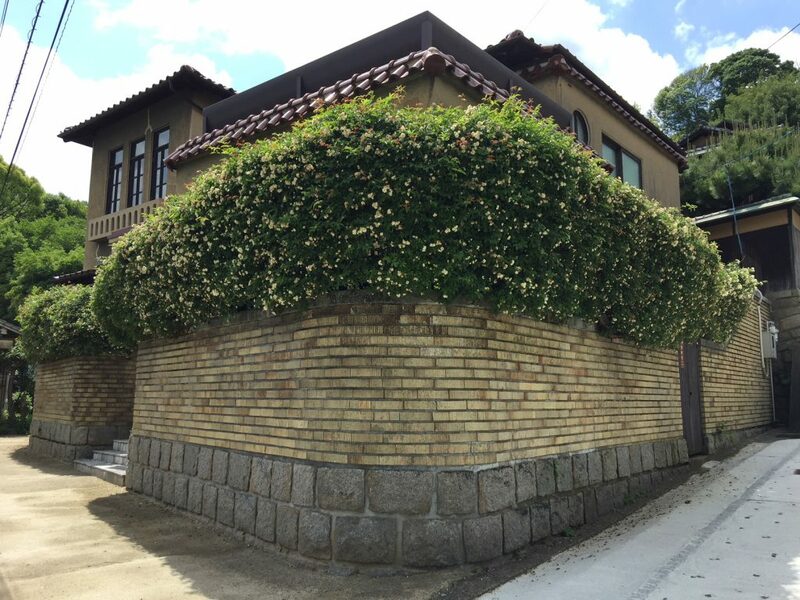 Frankly, however, Onomichi is place in which to wander. To dive into the labyrinth of streets and see where you end up. Despite its maze-like character, it is very difficult to get lost as one can only really move parallel to the coast or up and down the mountainside so it always easy to orientate oneself. Looking down over the town, along from the tiny little “castle” built as a tourist attraction, is Senkoji Temple. Set in a park which bursts with pink during cherry blossom season and which has commanding views over the narrow strait to the shipyards of Mukaishima, the starting point of the Shimanami Kaido for cyclists, is said to date from the 9th century. 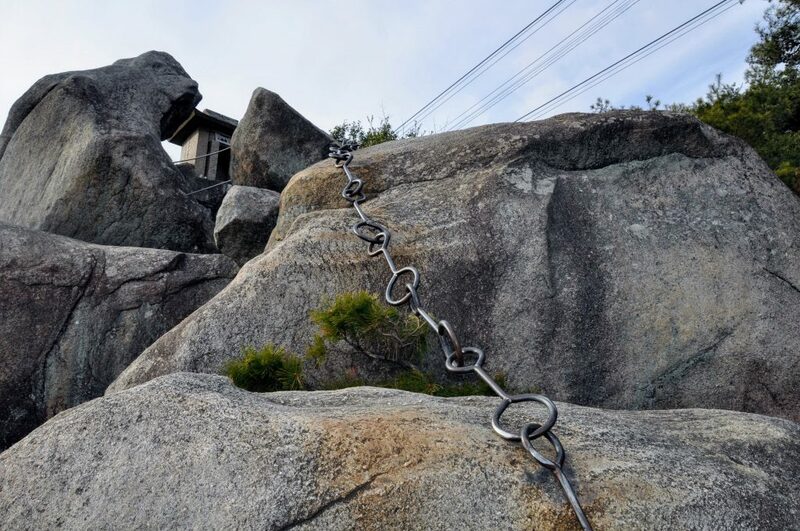 The multitude of large rocks in and around it are fascinating and pulling yourself up the chains over the Ishizuchi-yama-kusari makes the heart race. 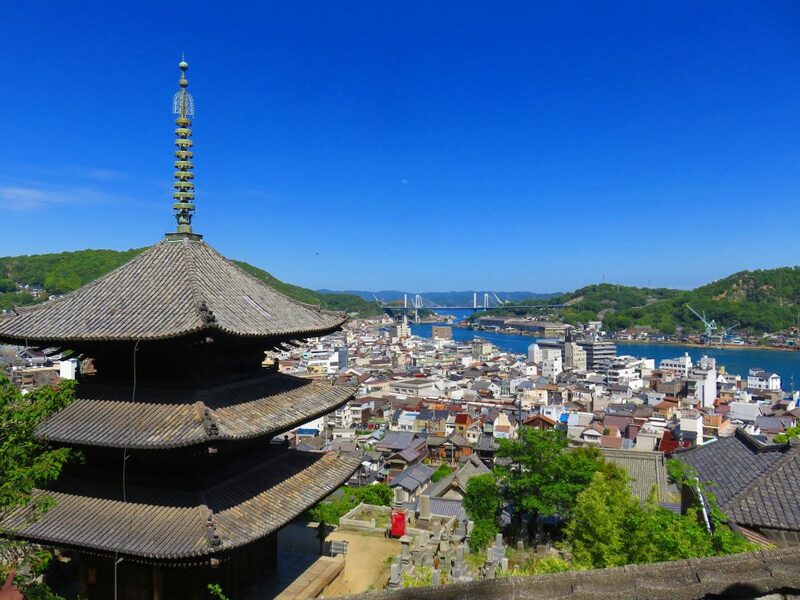 It’s from up here that you can snap a shot of Onomichi’s most iconic view, the eaves of an ancient pagoda, with the tiled rooftops tumbling down the mountain and the Seto Bridge in the distance. You can take a cable car up to Senkoji Temple, but to be whisked over the back streets misses much of the point of Onomichi and the chance to make surprising discoveries such as the quirky Maneki-neko Museum or little houses serving tea and beautifully presented Japanese sweets in the garden. If your legs and your heart can take it, on foor is the way to go. 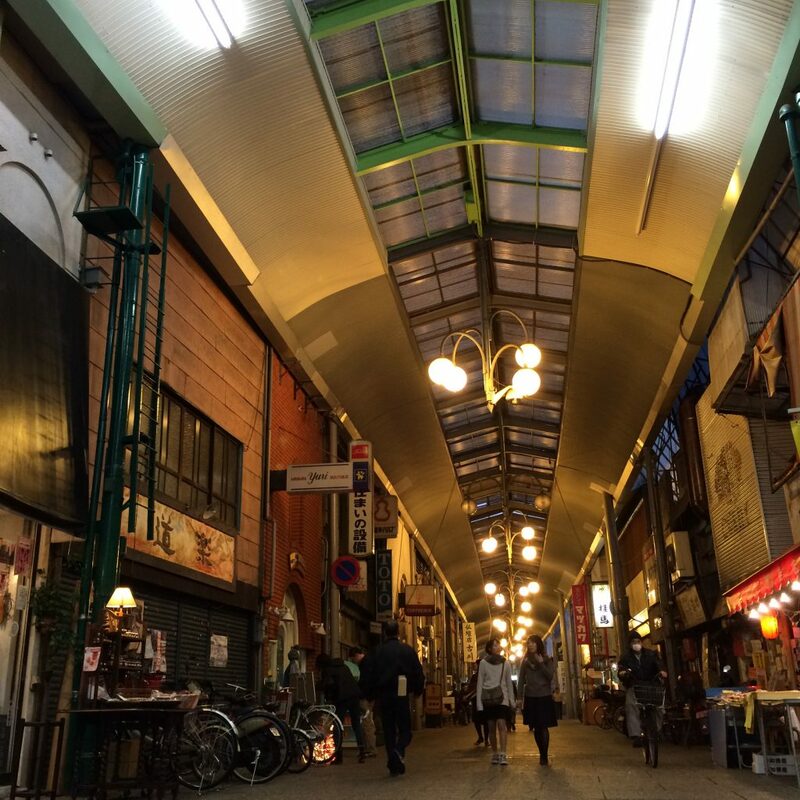 Onomichi’s long covered ‘shoutengai’ shopping arcade is bucking the national trend and seems to be thriving. The delicious smell of freshly ground beans comes from gourmet coffee shops and small boutiques are mixed in with the usual hat stores, barber shops and stores selling kitchen knives and sundry items. A former bathhouse has been preserved and converted into a souvenir shop. Graphic designers will love this place - the signage, a showcase of 20th century Japanese fonts in action. Onomichi is developing into a hub for creative people outside the mainstream, taking over neglected hillside houses and creating a community - and some unique accommodation options for travelers - on their own terms and at their own pace. If you like your food, music and life; organic, acoustic and slow, you are likely to find many kindred spirits here. The waterfront U2 complex is a successful blend of urban revitalization and the towns new position as a cycling hub. Former warehouses have been turned into a stylish hotel and attached shops, cafes and restaurants with a very nice terraced deck. You’ll also find Onomichi’s biggest bicycle rental facility here and a well stocked Giant store which will take care of any last minute repairs and tuning. 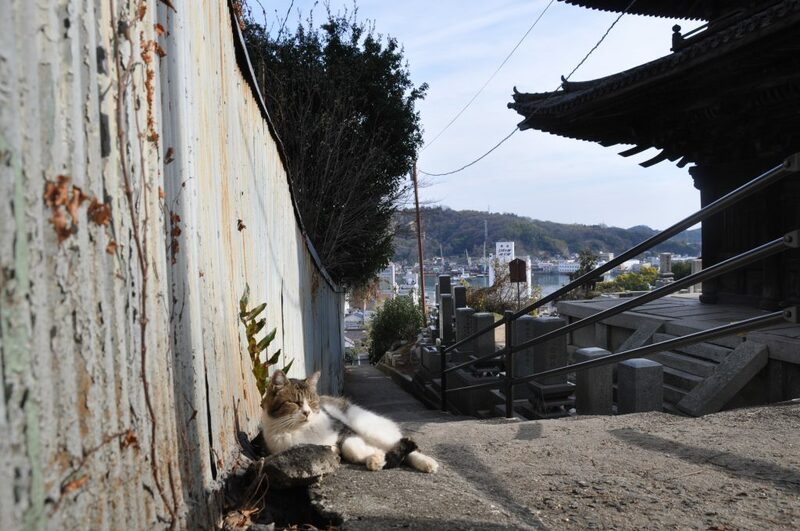 A photographer sprawled on the ground to get “that” shot of a one of the Onomichi’s many cute kitties on a narrow lane is a common sight. 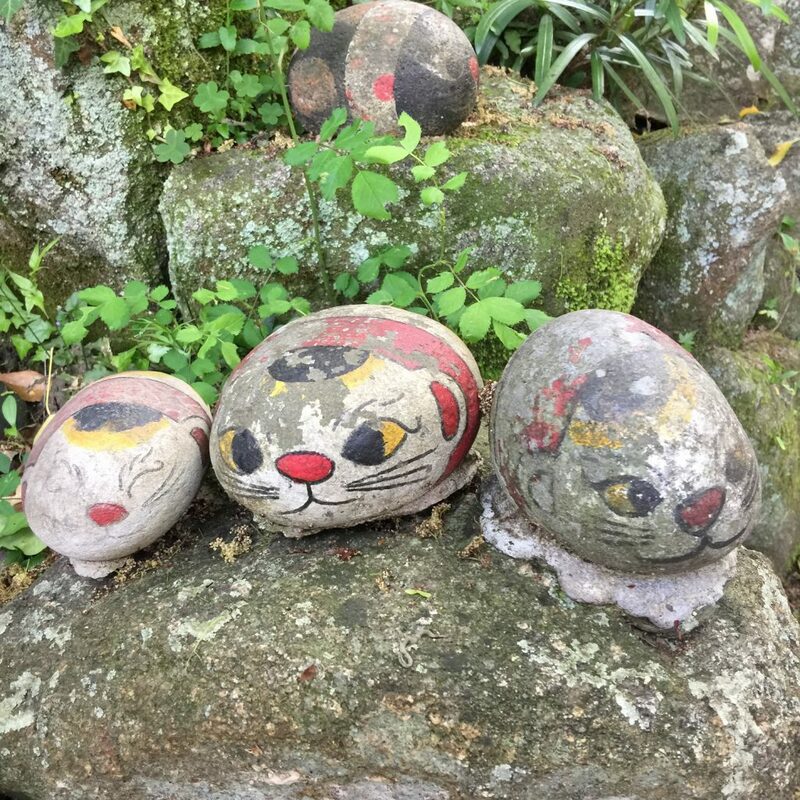 It’s appropriate that this quirky little museum is packed with lucky beckoning cat figures is located on Onomichi’s ‘Path of Cats’. As well as the displays, there are plenty of figures on sale too that make for great souvenirs. 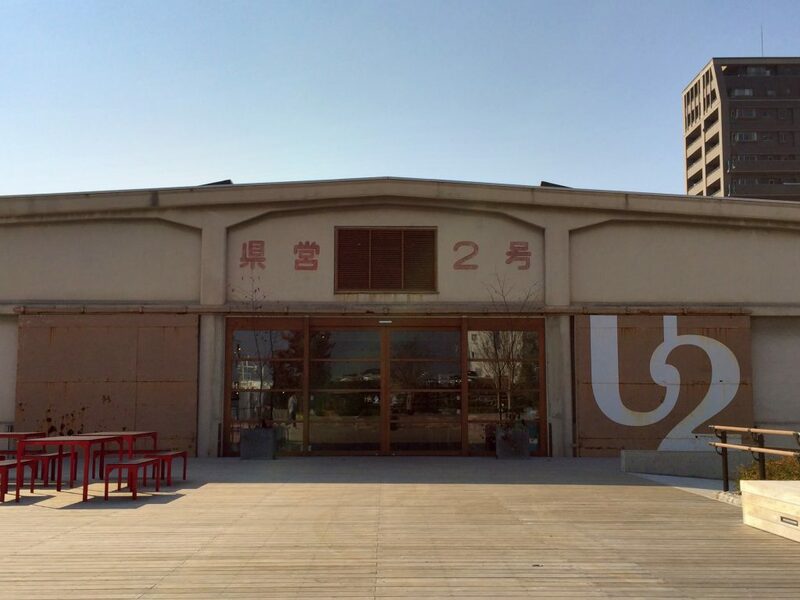 Appropriate for the gateway to the Shimanami Kaido cycle route, the stylish U2 complex in a renovated warehouse provides cycle-themed and cyclist friendly accommodation, shops, cafes and restaurants that delight travelers whether they are bike fans or not. Great waterfront deck and clean coin-operated showers outside. 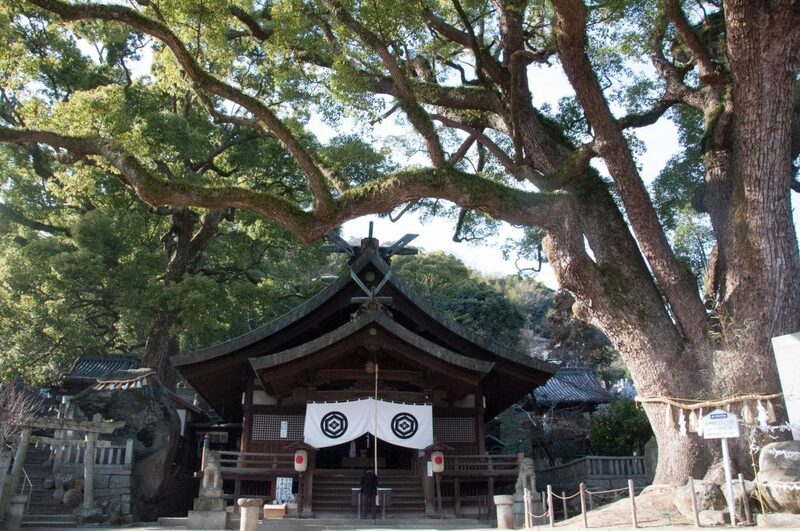 Located near the lower cable car station is Ushitora Shrine, the oldest shrine in Onomichi, now visited by a new kind of pilgrim, fans doing the rounds of locations featured in the Kamichu! anime in which a school girl wakes up one morning to find that she is a Shinto god. Check out the huge camphor tree in the grounds. Minato-no-yado aims to “breathe new life into historic buildings on the Seto Inland Sea”. Choose from two beautifully restored properties high on the hill overlooking the town. Izumo House is an traditional 18th century mansion and Shimazu House which was built on 1931 has a distinctly western feel. Japanese catering services are also provided. Onomichi’s covered shopping arcade runs almost all the way from Onomichi JR Station to the cable car that goes up to Senkoji, so it’s a great way to avoid the strong summer sun or stay dry on a rainy day. 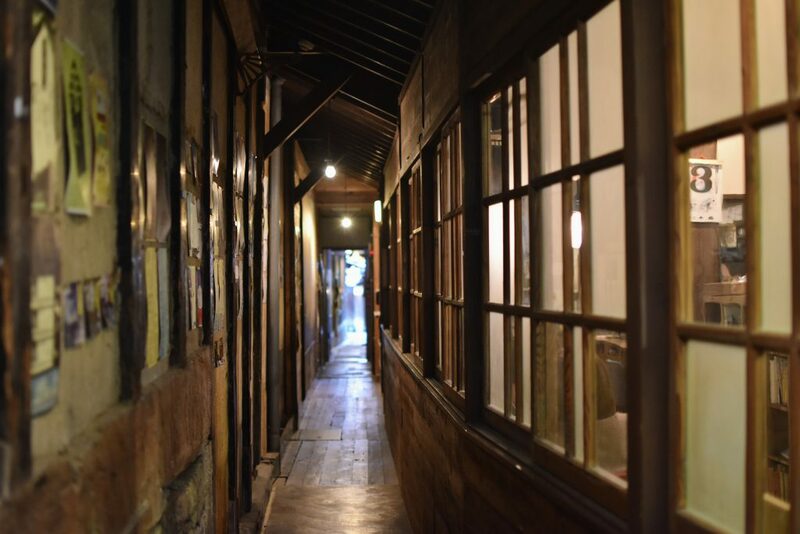 There is a very eclectic mix of shops, old and new, along the arcade with many discoveries waiting to be made. You are unlikely to find a domestic visitor that comes to Onomichi and doesn’t have a bowl of Onomichi Ramen. 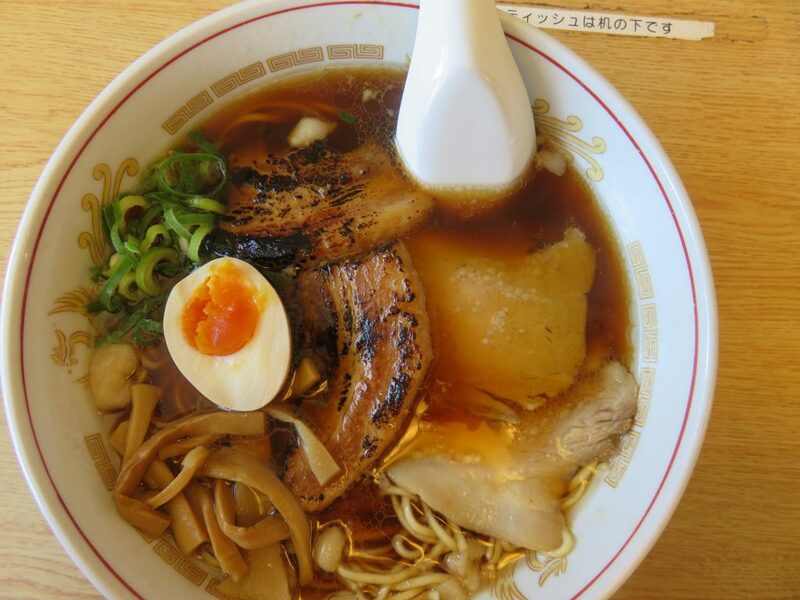 In general Onomichi’s version of noodle dish now popular worldwide is characterised by the addition of pork back fat to a soy-sauce-based soup that contains extracts of local fish. Not sure, where to choose? Look for the long lines and take your pick. Copyrights © SHIMANAMI JAPAN INC. All Rights Reserved.